Back to Newcastle with their energetic presence and swear words in abundance once again, The Spook School delivered a raucous performance. Supported by London five-piece Ski Saigon, who brought cheerful soundscapes and hazy lyrics, and the incredible Chester trio Peaness, with their quirky lyrics and exploding riffs, the crowd were suitably warmed up by the time Spook School were up. Entering the stage to a bizarre recording featuring Linda McCartney’s Vegetarian Sausages (a running theme throughout) and donning shorts with white vest tops each emblazoned with one word of ‘Linda McCartney’s Vegetarian Sausages’, the Scottish quartet wasted no time in launching into their rambunctious set. Opening with Still Alive, the audience got fully engaged in a sweary start, whilst riffs ricocheted off the walls and cymbals rang through the cosy venue. Erratic, eccentric and energetic, Spook School delighted with their thrashy punk-pop tracks including Masculinity, I Only Dance When I Want To and Binary. Fast-paced instrumentals littered with scuzzy guitars and deep basslines encased passionate vocals that fell into the beat of the percussion. Drummer Niall stole the limelight with his hilarious mannerisms and likeable personality, engaging with the audience and telling stories of the councilor who was unhappy with his potty-mouth last time the band played in Newcastle. 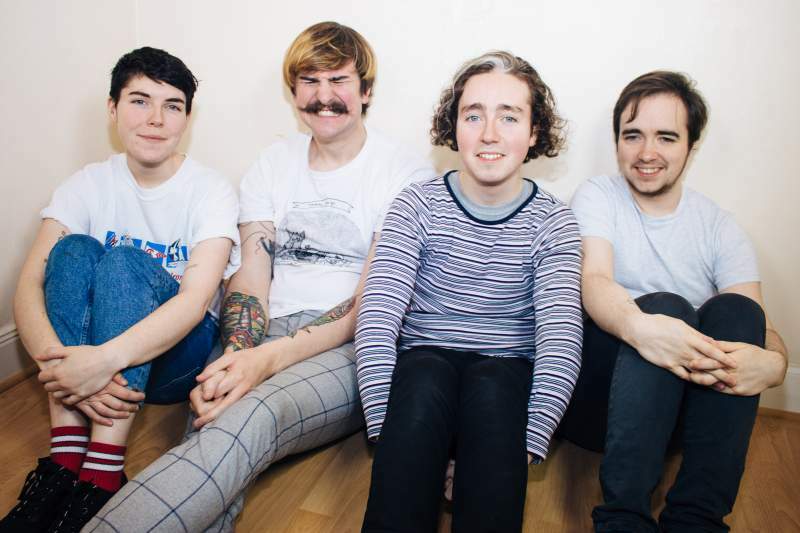 The Spook School are beyond just a band – they are an artistic movement creating new-age punk that tackles real-life issues of not feeling perfect and discussing the pigeonholing of gender-related expectations. This gig had everything – important messages, energetic instrumentals and humour thrown in for good measure – it was a cracking evening.